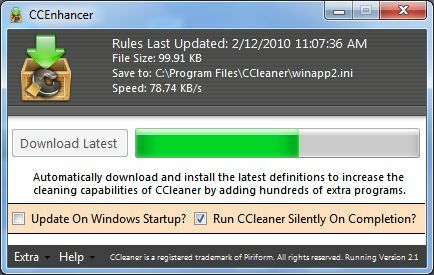 The actual file containing the definitions is not included with the program, but is instead downloaded by the program. 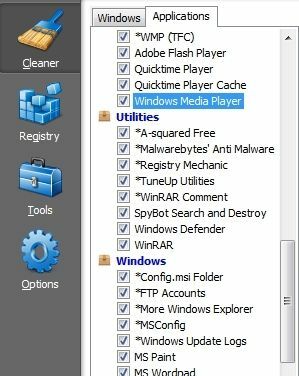 Simply press ?Download Latest? and the tool will automatically download the most recent version of the definitions. 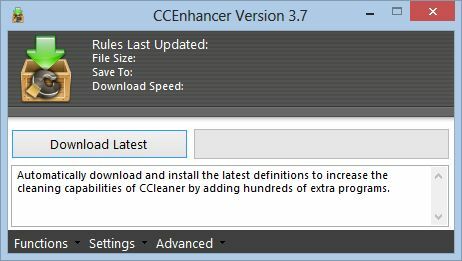 If CCEnhancer cannot locate the CCleaner.exe file you can open a dialog box and select the page yourself. Requirements: Microsoft .NET Framework 3.5.